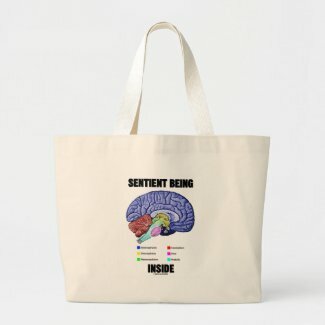 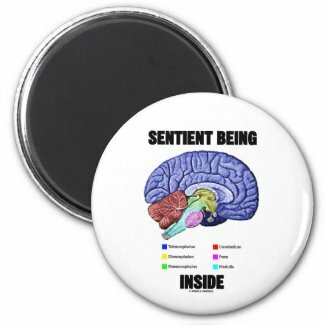 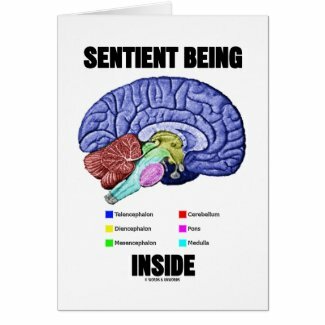 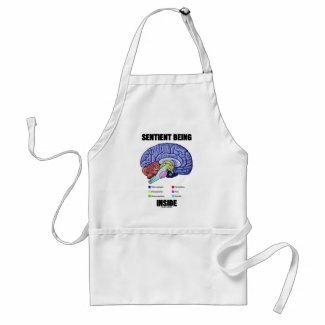 Showcase your wry brainy side with any of these gifts featuring an illustration of the anatomical brain along with the saying that will make others do a double-take on how conscious you truly are: "Sentient Being Inside". 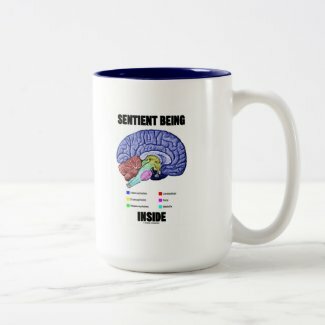 Geek humor gifts for all who think! 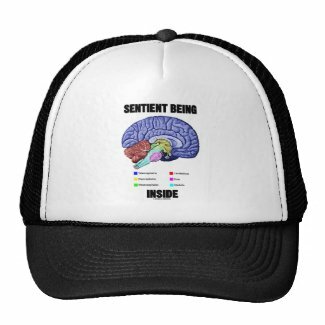 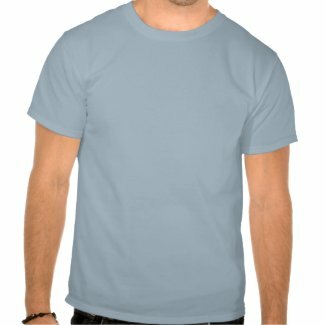 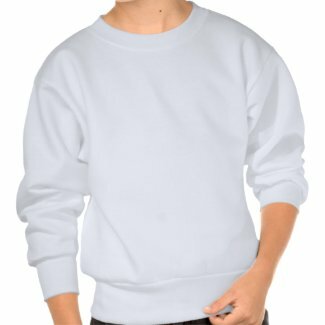 Make trucker hat on zazzle. 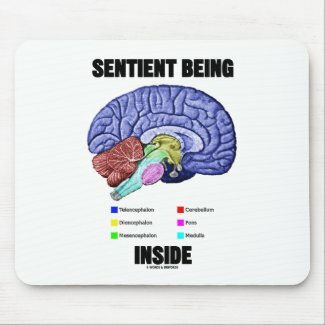 Customize iPhone cases online at zazzle.com.